Digital Marketing industry in Nepal is spread to almost all the business sectors. Some of the applications of E-Marketing are shopping and order tracking, online banking, payment systems and content management. The power of digital marketing allows geophysical barriers to disappear making all consumers and businesses on earth potential customers and suppliers. It is known for its ability to allow business to communicate and form a transaction anywhere and anytime. The growth in the digital marketing trends is making a very substantial impact on marketing and advertisement. 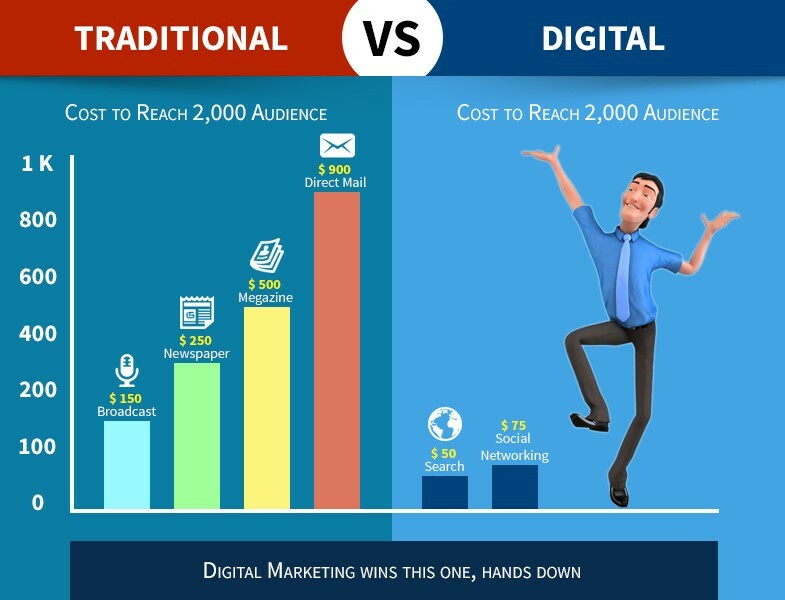 The big picture of Digital Marketing industry in Nepal cannot be complete if short preview of the past digital marketing statistics is not made. Web Creation Nepal is a digital media agency that is redefining conventional marketing from one way brand speak to building a dialogue. We provide the entire bouquet of digital services including Social Media, Web & Mobile Development, Design, Video & Publishing solutions, Social media advertising, SEO, PPC & Display and Educational Workshops.